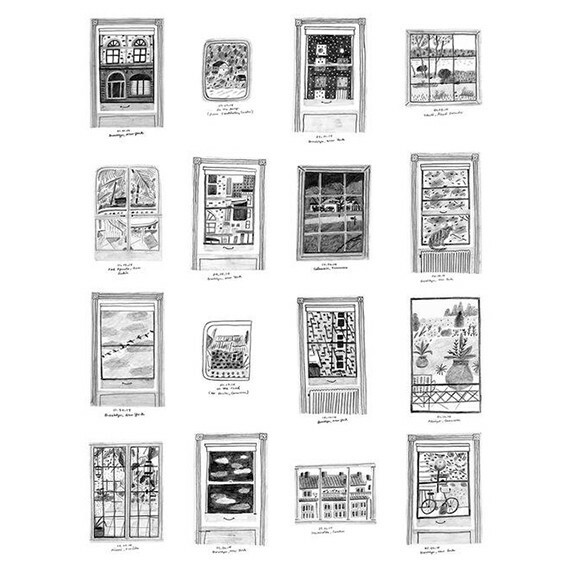 Rachel Domm’s Window Diary is a series of 365 drawings of windows for every day of 2014. Throughout the year, the artist drew the view from the window of her apartment in Brooklyn and from her numerous travels — from Sweden to Miami to Cameroon to The Åland Islands to India. In all, there are 15 different cities from 4 different continents chronicled in the book, making it a travel journal as well. It records the change in season from snowy days in January to rainy days in April and hot days in August. While the scenes are objective, the view is personal and contemplative, even though it looks outside instead of inside. Enjoy the art and literary work created by the talented associates of American Greetings. American Greetings 36th Fine Arts Show is a juried exhibition featuring the personal works of American Greetings artists and writers. 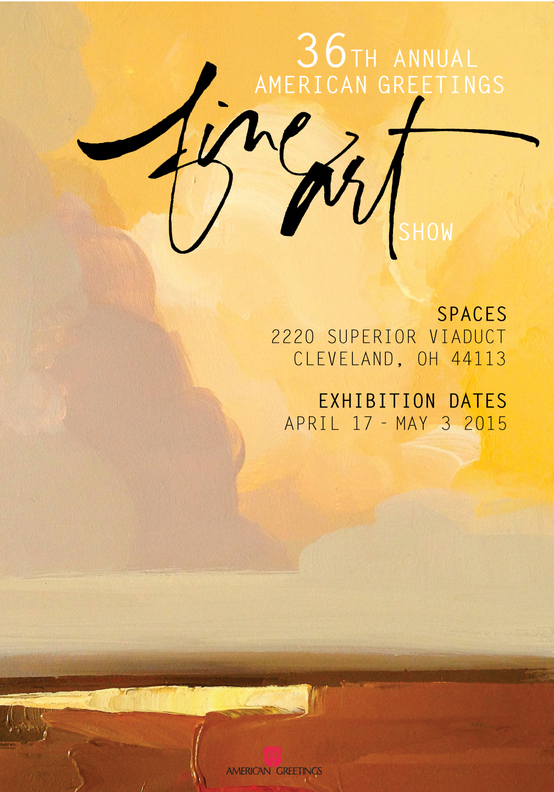 An annual Cleveland tradition, this show is a testament to the artistic and literary talent of one of the largest and most prolific creative studios in the world, headquartered in Cleveland, Ohio. Works on view through April 18 – May 3, 2015. 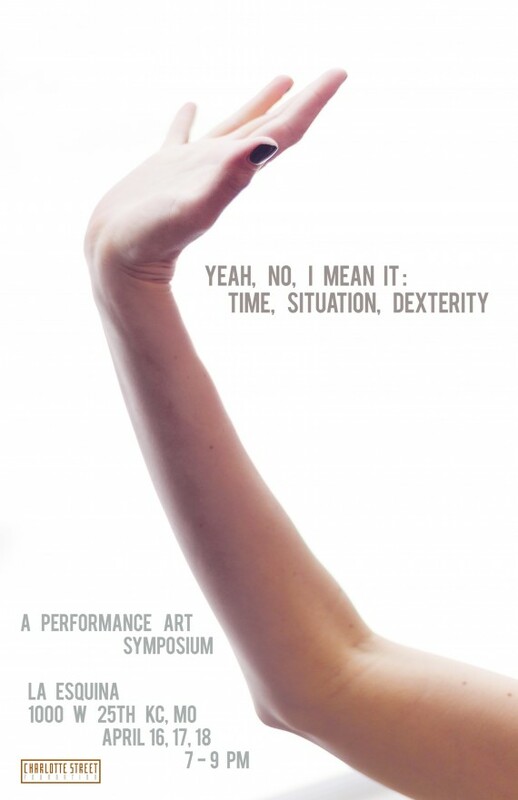 Yeah, No, I Mean It: Time, Situation, Dexterity is a three-day performance art symposium hosted at Charlotte Street’s la Esquina Gallery on the evenings of April 16th, 17th, and 18th from 7-9pm. Each night, local performance artists will generate live work within the gallery, alongside nationally recognized visiting performance artists. These performances will range in aesthetics, concepts, and duration: from the highly visual and loud, to the quiet and contemplative. 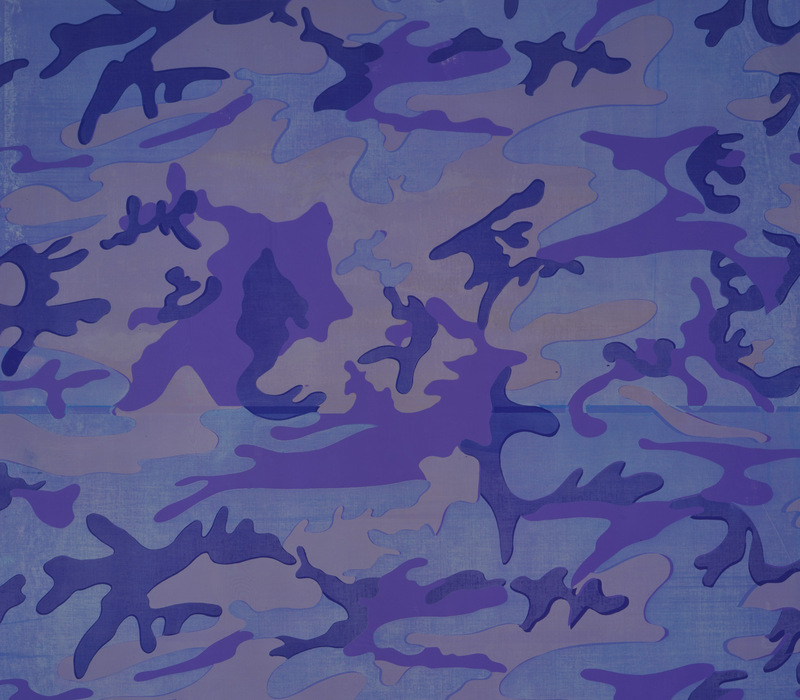 This symposium is designed to highlight and expand the local and national conversation about contemporary performance art practice, through three days of making and discussing the local and national ecology of emerging performance art. 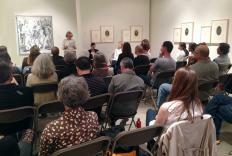 Yeah, No, I Mean It: Time, Situation, Dexterity is curated by Kansas City-based artist Jessica Borusky. The exhibition includes nearly 100 prints and related ephemera, which Conner produced throughout his 60-year career. Characterized by experimentation and a healthy dose of subversion, Conner’s work with prints demonstrates his obsession with fully exploring and pushing the limits of an idea. And the beat goes on… will be a conversation among today’s Bay Area artists who, continuing in the vein of Conner’s unconventional ideas, are taking a creative approach to printmaking. This new generation of artists incorporates printing and printmaking techniques in unexpected ways both conceptually and formally.